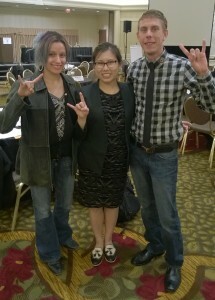 Sister Cowan and Brother Levin with fellow Longhorn, Emily Tao, Director of Communications at IATSE. 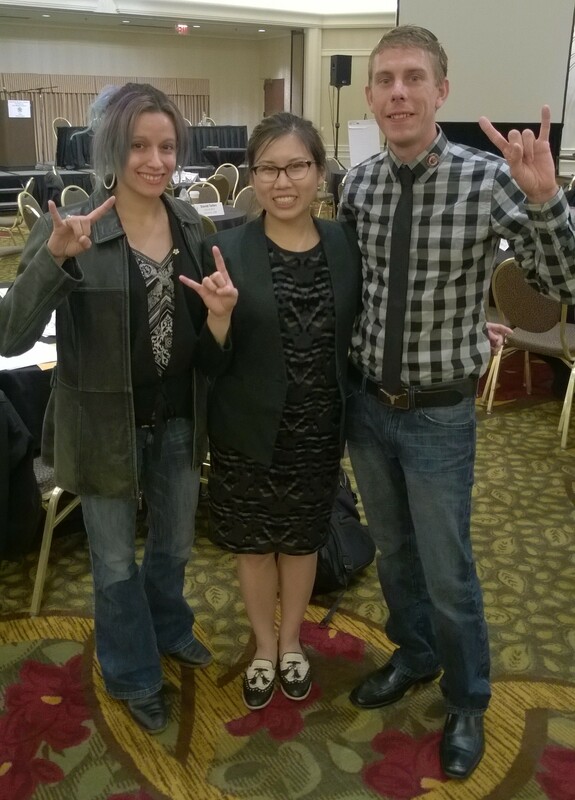 Local 205 sent two representatives to the IATSE Young Conference this year. Sister Cowan and Brother Levin would like to share some of their experience with you. -Knights of Labor (from which IATSE stems) was an illegal secret society. Union membership was illegal until the 1930s. -In 1911 the Yellow Card system was established to protect road hands on tours from being stranded in nowhere, IL. -1970 saw the first body mics in use on Broadway. -Wardrobe locals were formed separately under the international because of stage hands who did not want their wives in their unions. -There are 13 districts in the international, 1-12 & 14. New Jersey was district 13, but around the same time 14 (Floriday and Puerto Rico) was added, NJ was merged into 10 with New York. -“In the lime light” – refers to when a line of lime was laid on the edge of a stage and lit on fire for a show, and it glows green.